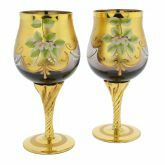 Stunning, colorful, and opulent in classic Venetian fashion, this set of two Murano Glass Wine Glasses comes from the centuries-old glassmaking workshops of Murano Island and represents the mastery and artistic heritage of generations of Murano Glass artisans. 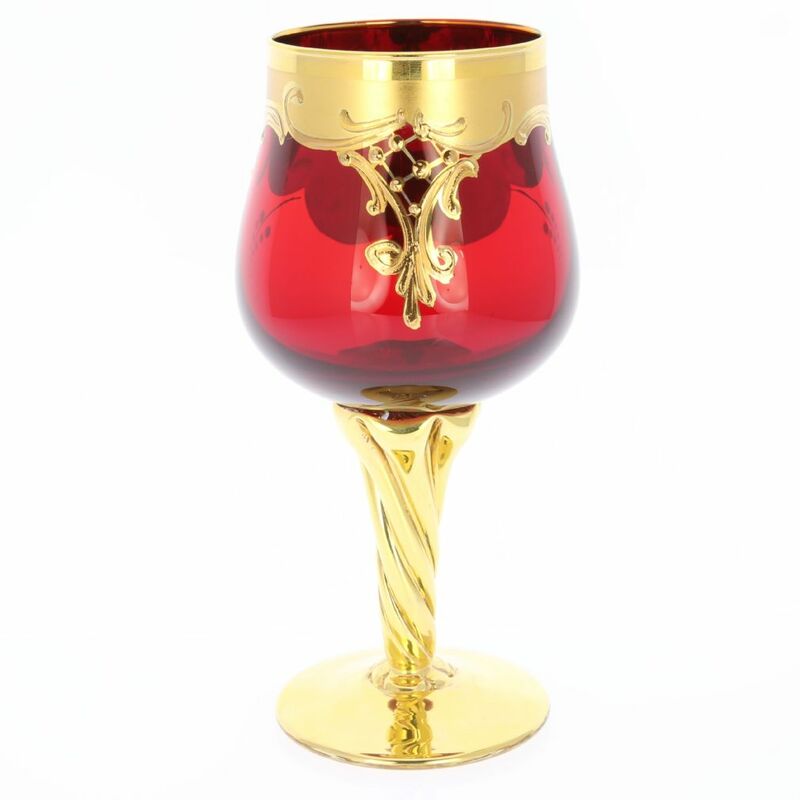 Using rare decorative technique called "Tre Fuochi" or "Three Flames", the masters carefully craft these goblets by hand one-at-a-time with precious 24K gold applied to the blown glass colored with various minerals. 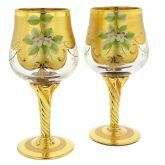 Reminding us of the times of extraordinary wealth and power of Venice, these fine glasses bring to life the glory of Venice in its heyday and let you experience the old-world European charm right on your table, not in a museum. 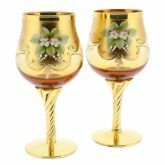 This wine glass set is an amazing gift for special occasions such as weddings or anniversaries. 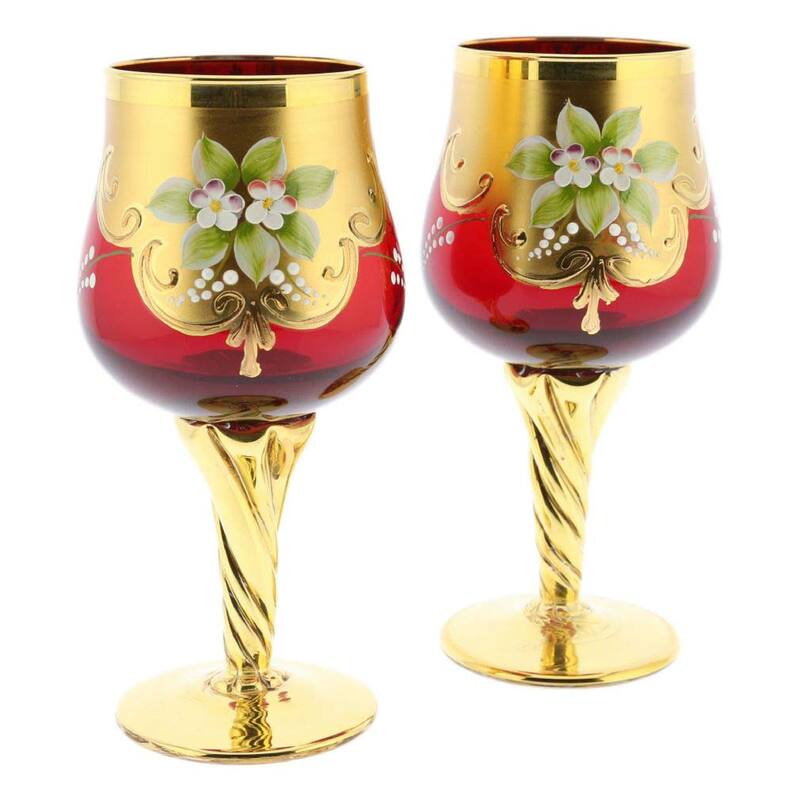 Measurements: This Murano Glass Wine Set includes two red-and-gold wine glasses. 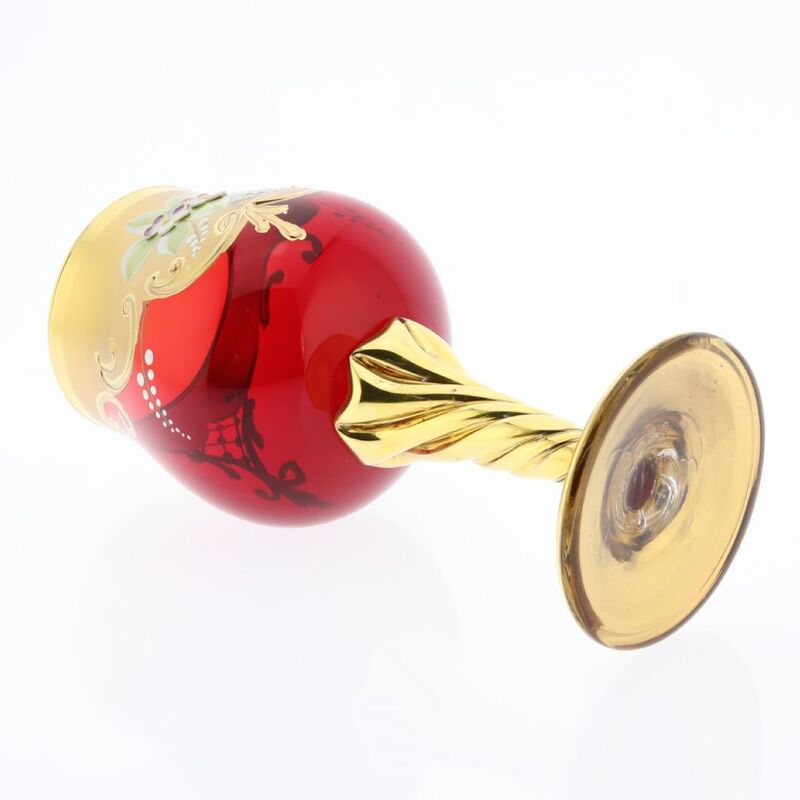 Each glass measures 7 inch in height, and the diameter of the base is 2-1/2 inches. 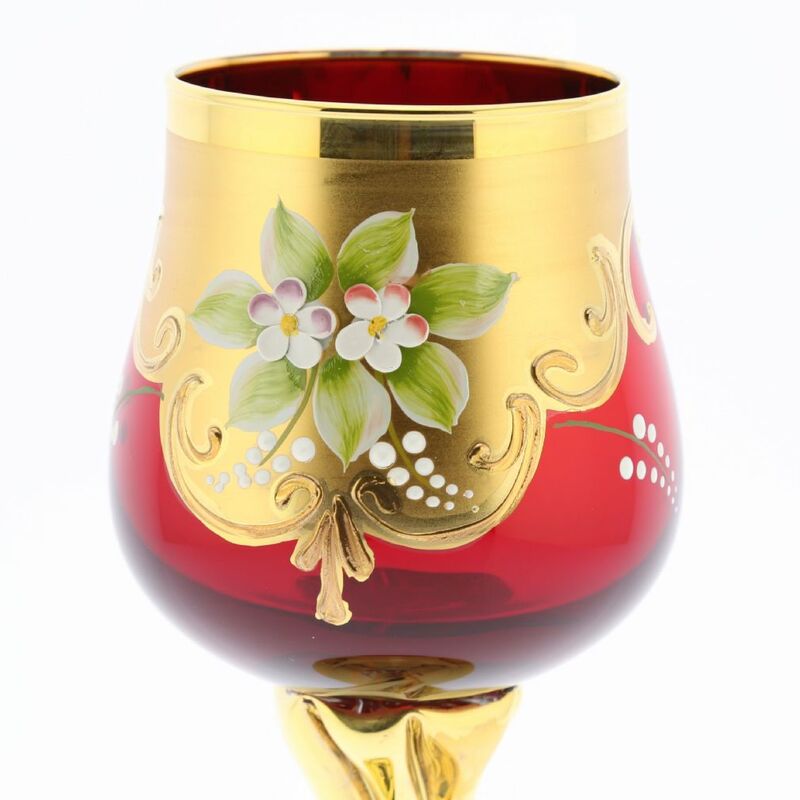 The diameter in the widest part of the glass is 3-1/4 inches. 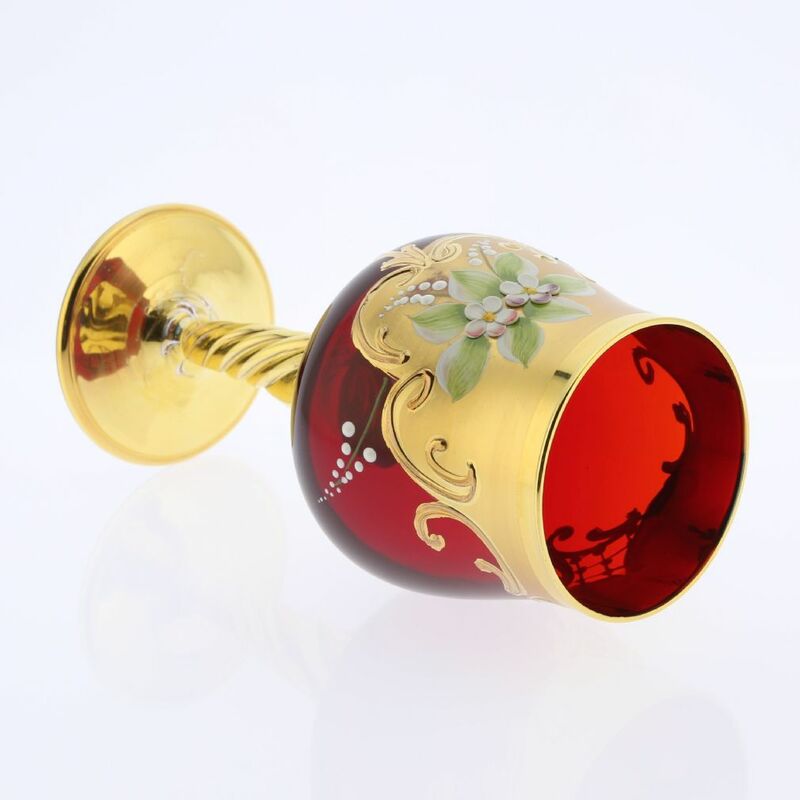 The goblets are hand-blown and hand-decorated using real 24K gold. 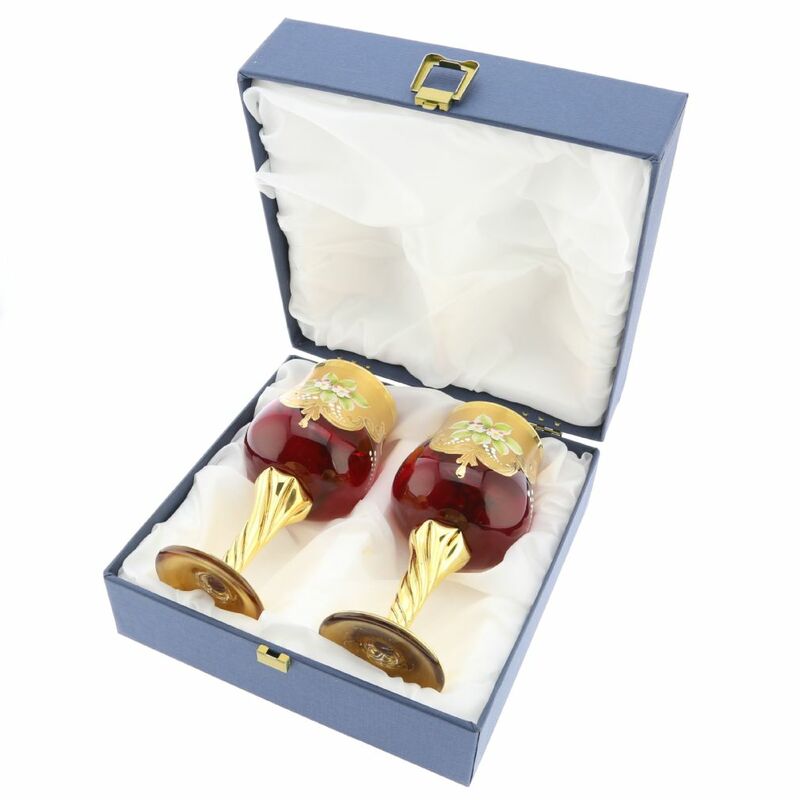 They are attractively presented in a blue gift box lined with silky white fabric that not only looks great but also assures safe transit. The set comes with a certificate of authenticity. 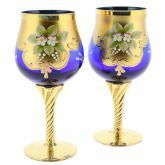 Beautiful glasses; expensive but I had to have them since the one I bought in Venice broke. I wish I could have had it engraved like the one I bought there.